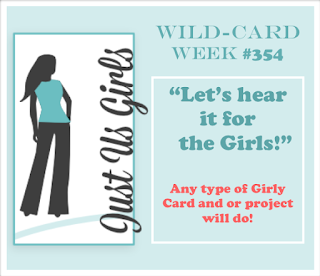 Just Us Girls #354 - Wild Card: "Let's Hear it for the Girls!" 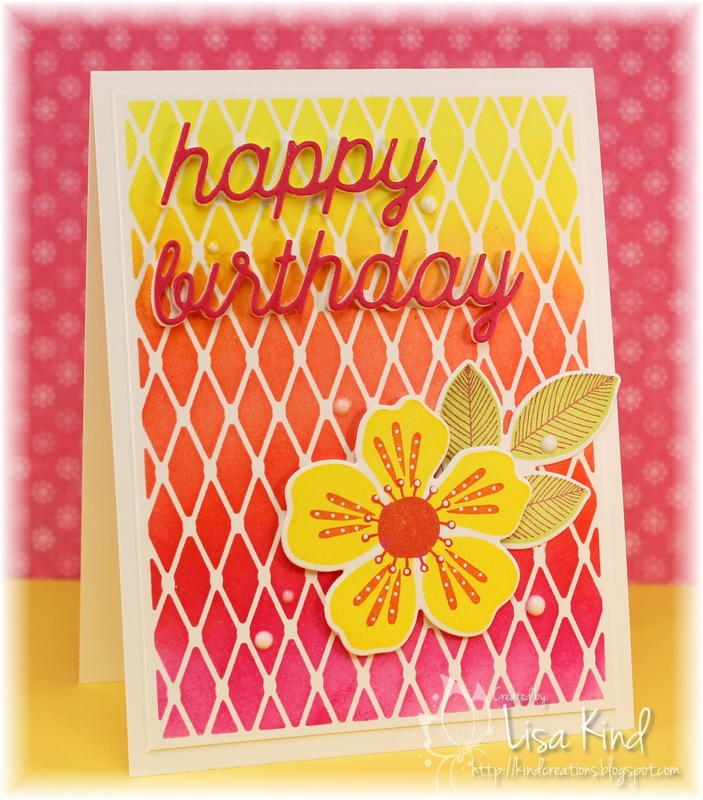 I chose three shades of pink to create my card today. The flamingo is a layering stamp, so I used the Mini Misti to help me stamp it correctly. It also allowed me to stamp it a couple of times to get even coverage. The background was stamped in the three pink colors as well. 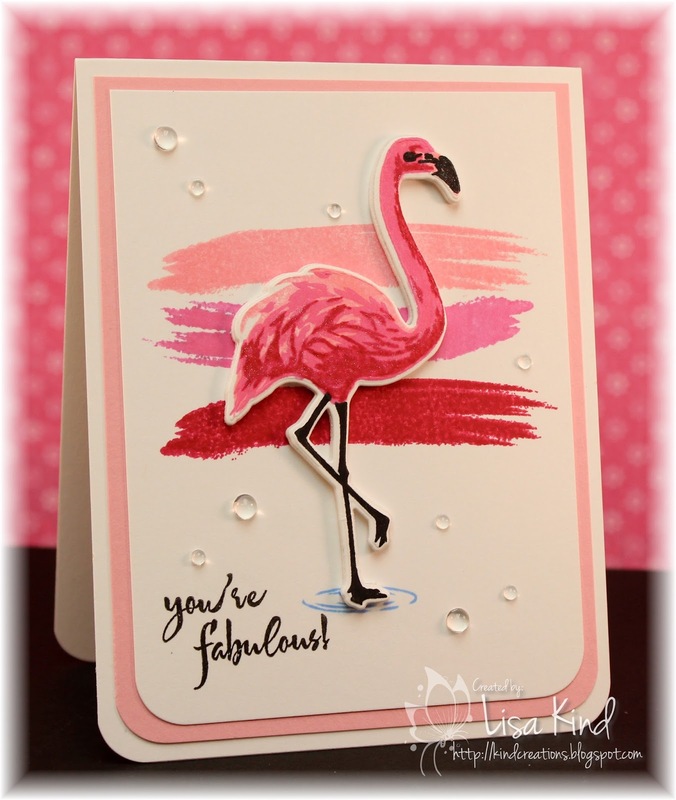 The flamingo was die cut after stamping and also die cut from fun foam for dimension. 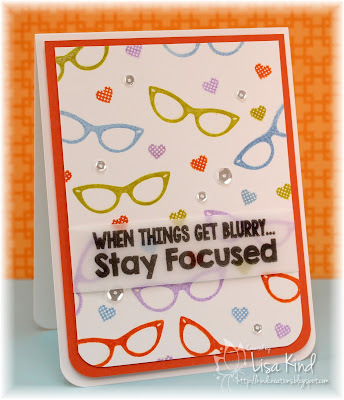 I stamped the sentiment, added the crystals, and rounded the corners. I used this week's CAS(E) this Sketch as my starting point. 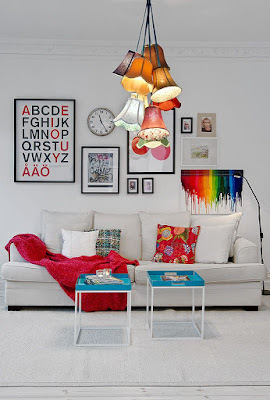 You can see more from the JUGs design team and our guest, Carol, on the JUGs blog. 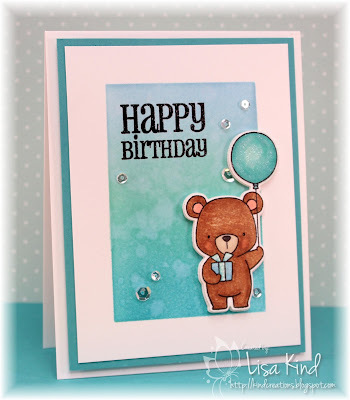 This is Carol's last week guesting with us, and we'd like to thank her for joining us with her fabulous creations. Hi all! 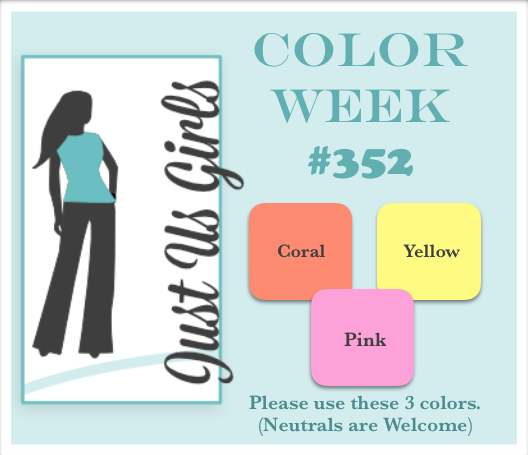 There's a new challenge up on the Just Us Girls blog! It's photo inspiration week and Sue chose this golfing photo. I started playing golf last year so this is right up my alley! I purchased this golf cart stamp last year at a stamp show. My good friend Tracy started golfing this year, and we've been golfing together. She gave me a beautiful bracelet the other day for my birthday (a few months late!) and I wanted to send her a thank you card. 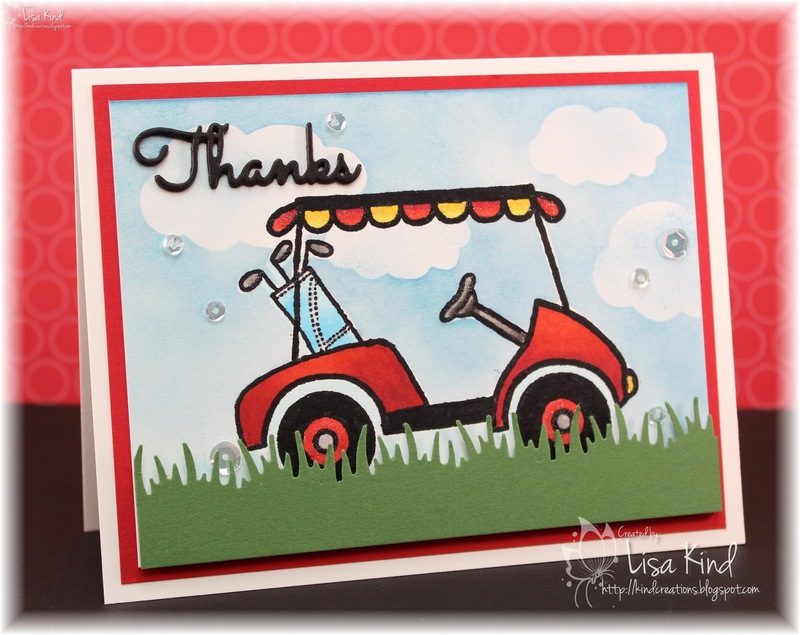 I thought this golf cart image would be cute to send to her. I did some masking on this card. 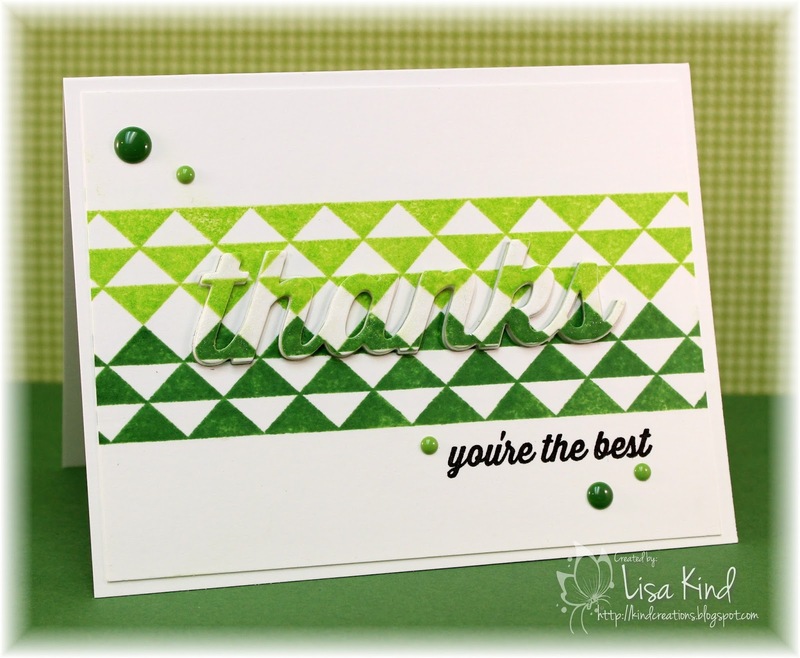 I stamped the cart on the cardstock (several times using the Mini Misti!) and also on masking paper. I also die cut some clouds from the masking paper. The cart was covered with the mask and then I added the cloud masks. I sponged some blue distress ink on the background, removed the masks, then colored the image with copic markers (we have the same clubs and our bags are blue). The grass was created with a punch and adhered with some fun foam. I added the sentiment (layered four times), some sequins, and Spectrum Noir crystal clear shimmer. I'm also going to enter this in the 30 Day Coloring Challenge. Hi all! I hope you are enjoying your summer! I'm having a good time at my cabin with my hubby, golfing, and hanging out with the girls! There's a new challenge over on the Time Out blog. It's Home Sweet Home week where we provide a photo of a room in a house for your inspiration. 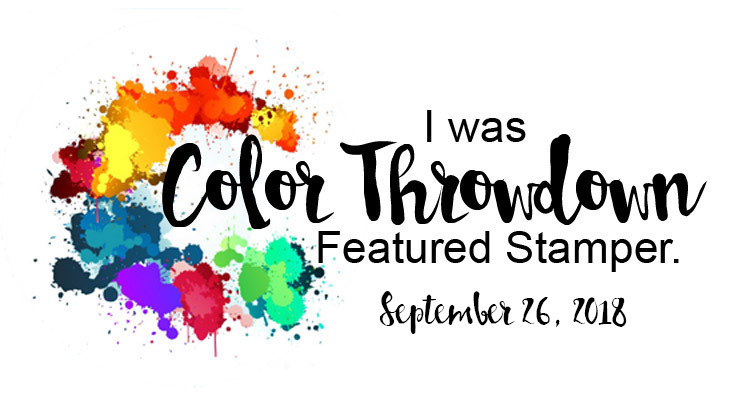 You can see more from the Time Out DT and our guest for this challenge, Stephanie, on the Time Out blog. I have been participating in MFT's Camp Create and did the first four days, but forgot about the last day! Thankfully I still had time to enter! 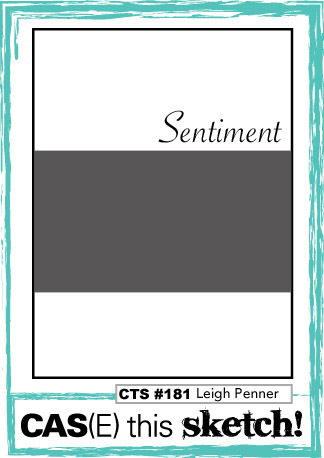 The last day was Background Bonanza, which means you had to create a background using smaller stamps. I looked through my MFT stamp sets and came across a few that had smaller stamps that I could create a background with. I chose Geek is Chic using the sunglasses and then the heart came from Contempo Cage. I stamped the glasses first in four different colors, then filled in with the heart. The sentiment was stamped in Versafine onyx black on vellum and embossed in clear embossing powder. I wrapped it around the panel. I added some clear sequins and Spectrum Noir crystal clear on the glasses for some sparkle. I'm sending this to a friend who has a lot on her plate right now. I hope it helps her "focus" on what's important! Here's the badge I earned for this challenge! I also used the colors from Color Throwdown. Happy Saturday! 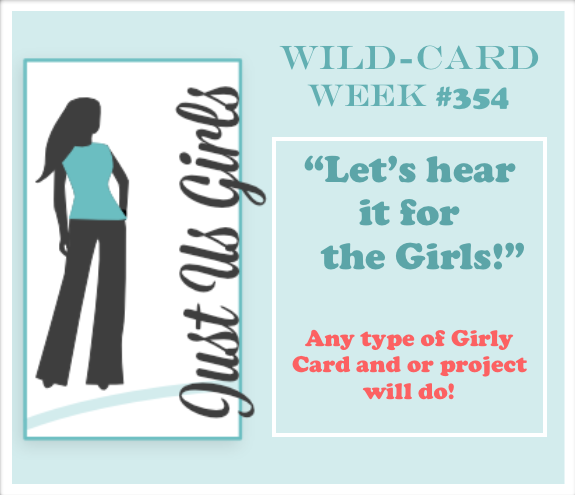 It's time for another challenge at Just Us Girls! 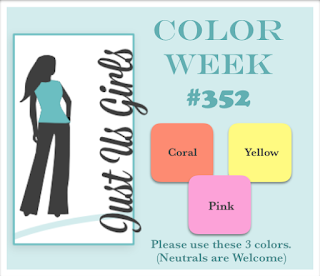 It's color week, and Bobby chose these fun colors. I've also been participating in the My Favorite Things Camp Create all week, and I'm on day 4 which is Magnificent Masking. These colors were perfect for my masked background. I die cut this cover plate from masking paper and sponged yellow, coral, and pink inks onto the cardstock. Removing the mask is such a thrill to see the pattern emerge! I then stamped the flower in the three colors and the leaves in a light green and the veins in pink. 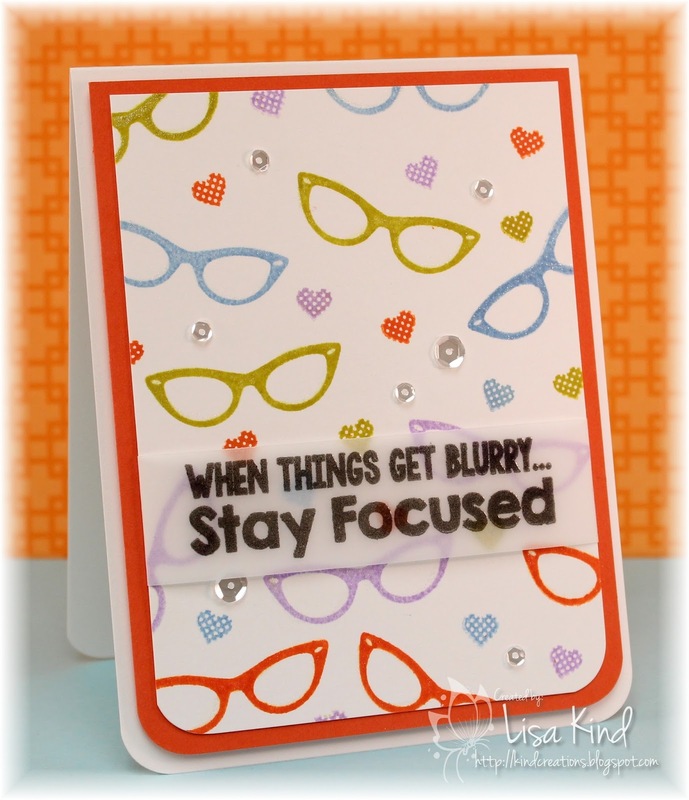 The sentiment was die cut from cardstock and fun foam and then I added shimmer to it. I used a white gel pen to add dots to the flower center. Those other white dots are Nuvo Crystal Drops. Here's my badge I earned for participating in this challenge. Hi friends! 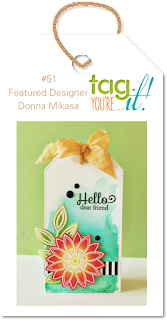 I'm participating in MFT's Camp Create and I'm a day behind again! My hubby and I went to a movie this afternoon. We saw Nice Guys with Russell Crowe and Ryan Gosling. It was really good! It was at the cheap shows (only $5 for the two of us!) and we weren't sure if it was going to be good or not, but we really enjoyed it! 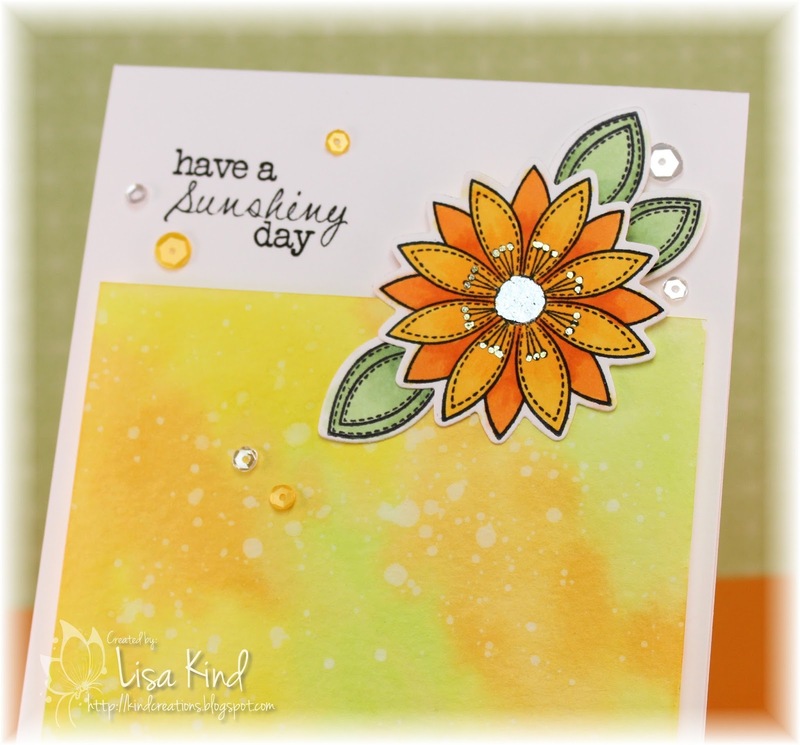 Back to stamping! This challenge is called Inlaid Made Easy. I love inlaying die cuts! I took out the Jumbo Mod Borders stamp and stamped it twice in two different colored green inks. 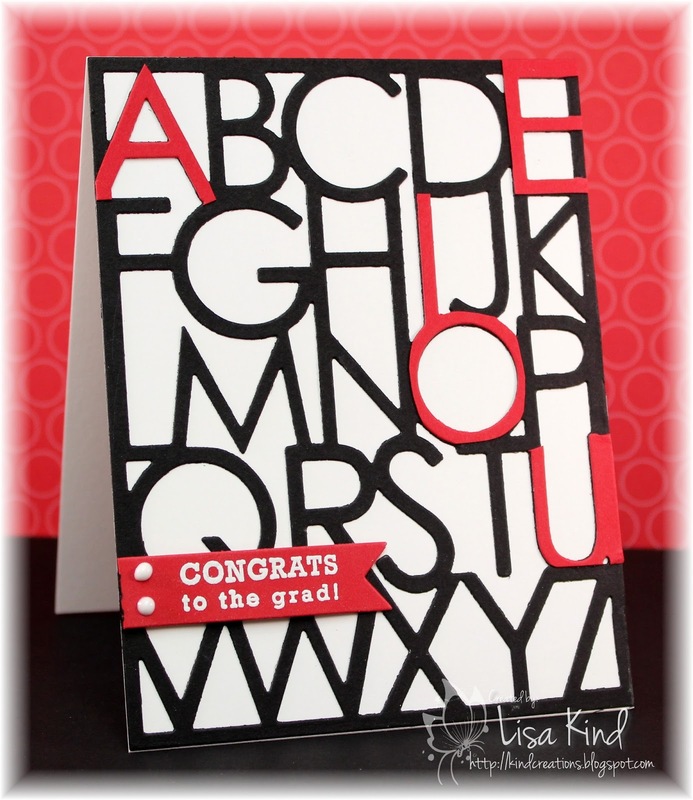 I used the Misti to stamp each color a couple of times and to line it up straight. Then I die cut the word thanks from it and some fun foam and inlaid it back into the panel. 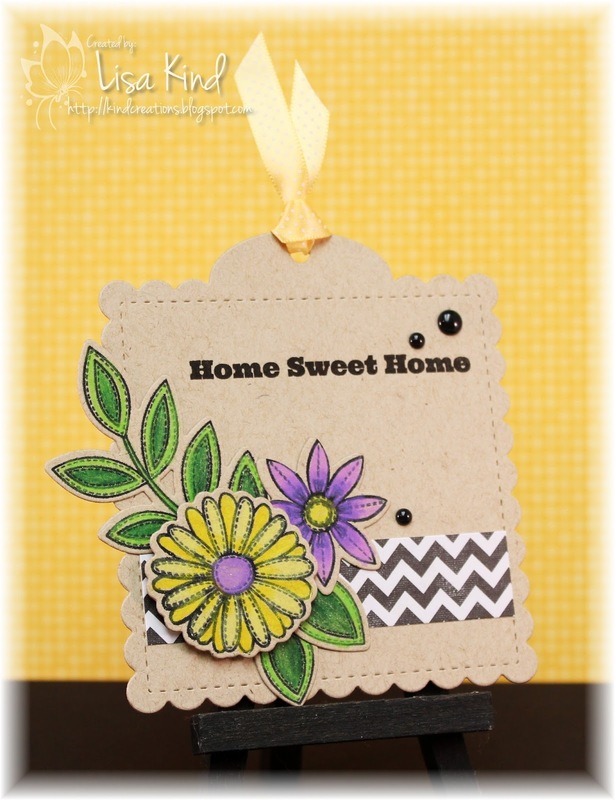 I stamped the sentiment on the bottom and added enamel dots. I used the sketch from this week's CAS(E) this Sketch. Here's my badge for this challenge! I'll hopefully be back tomorrow with the last two days of the MFT Camp Create challenges! Happy Thursday! I'm here with a card to remind you of our current Time Out challenge. We have another week for you to enter! Flowers mean sunshine to me. They thrive on it, so that is what inspired me about this quote. 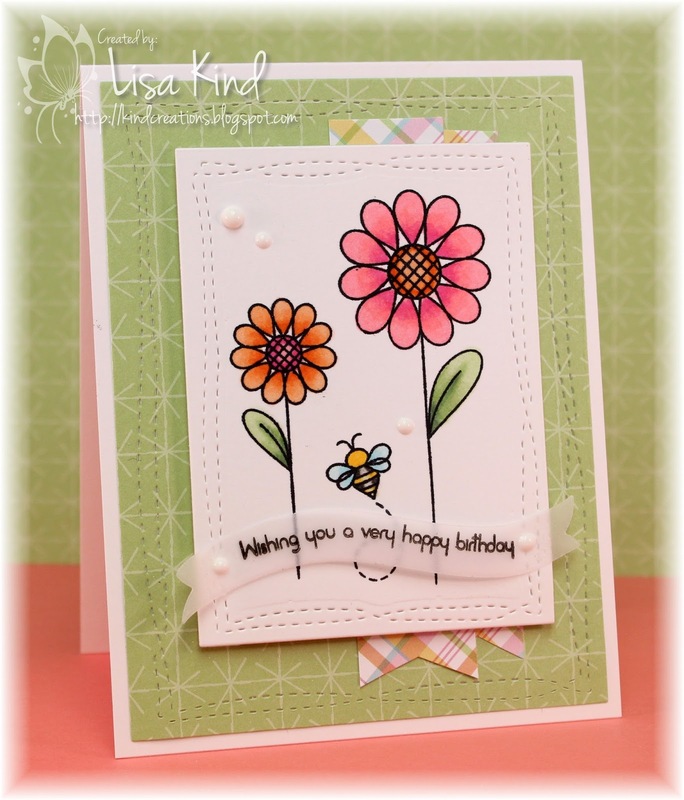 I made a card earlier this week with these same flowers. I had these colored and wanted to use them for this challenge. I colored them with copics and added lots of shimmer to them and the bee. And that bee...I'm so in love with it! 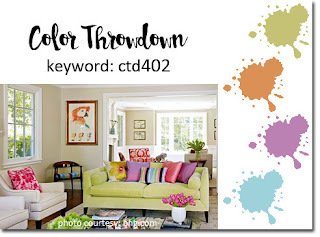 You can see more from the Time Out design team and our guest for this challenge on the Time Out blog. Hi friends! I was supposed to post this yesterday, but my WIFI router bit the dust and I had no internet! I thought my internet service was out, but it was just the router. So I now have a new one and all is good! So I'm participating in MFT's Camp Create and I'm behind again! 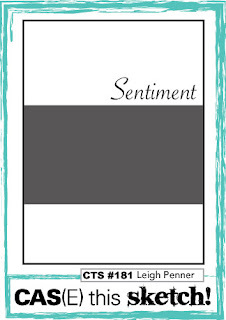 I'm posting yesterday's challenge of coloring on kraft today (even though I had it done yesterday...darn technology!). I decided to make a tag. The flowers and leaves were stamped and die cut from kraft paper and colored with Prismacolor pencils. It's very primary coloring. I'm no expert with the pencils! I don't think I need to explain any of the details of the card. Very simple design. 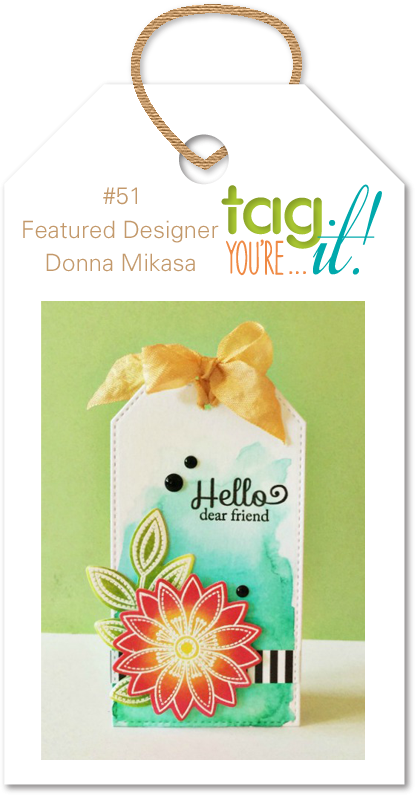 I used this tag as my inspiration from the Tag You're It! challenge. 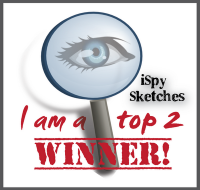 I earned this badge today! 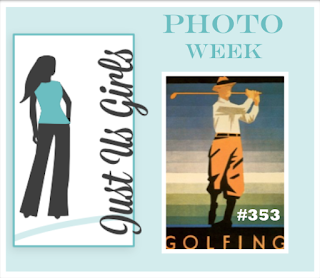 I'm hoping to post tomorrow for days 3 & 4 of MFT's challenges. 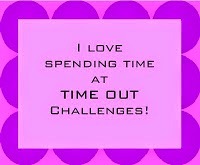 I do have a post for the Time Out challenge scheduled! See you then! Hi all! It's Camp Create week at My Favorite Things and I'm hoping to attend all week. I'm a day behind, so I have to catch up! The challenge for day 1 is foiling. I have a Minc Mini machine, but don't have a laser printer to do the foiling. There are other methods, and I chose to use the foiling pen. You can't see the foiling on this picture, but you can see it on the next one. I foiled the center of the flower and the stamens. I first die cut the flower and leaves then added the ink from the pen, placed the foil over the flower, and put it through the Minc Mini. This was flower was my second try. It didn't work out very well on the first try, but I did get it to work fine on the second try. Then I colored it with copic markers. I then went to work on the watercolored panel. 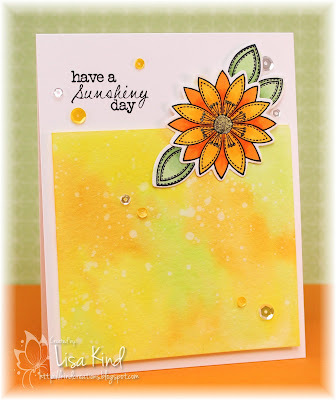 I used yellow, orange, and green distress inks, dried it, and then put some water droplets on it. It's adhered to the base with fun foam. The flower is attached with dimensional tape. I finished it off with sequins. Here's a close-up of the flower so you can see the foil in the light. 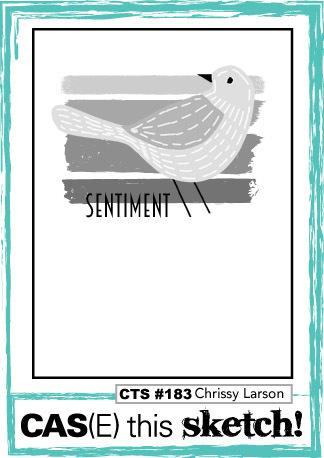 I used the sketch from Can You Case It challenge blog. 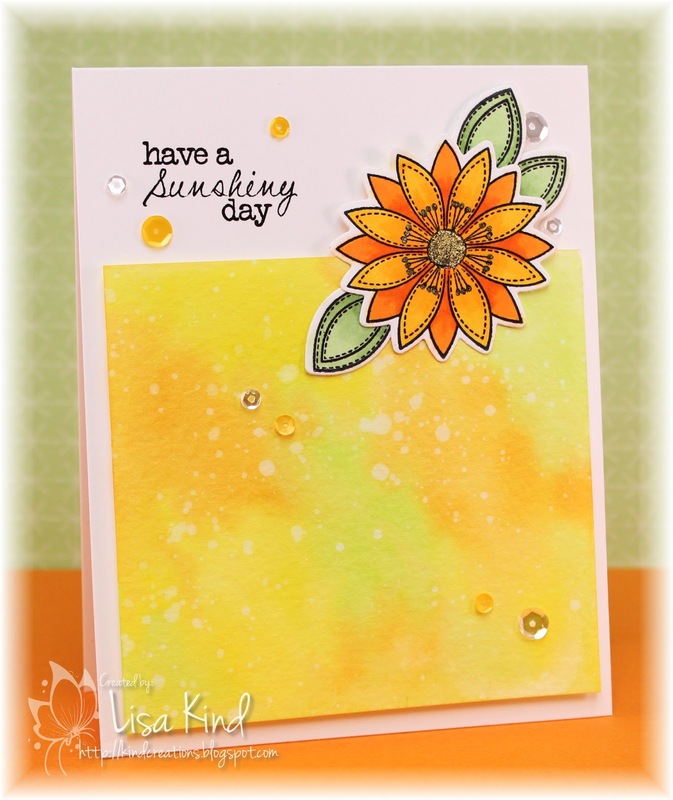 I'm working on the day 2 challenge today which is coloring on kraft. I don't know that I've ever tried that technique. I have to break out the Prismacolor pencils! Hi everyone! I'm back again with a card for two challenges today. I love this stamp set and haven't had the opportunity to use it yet. I decided to make a shaker too. These flowers were colored the other day with copics, and today I decided to die cut them for this card. 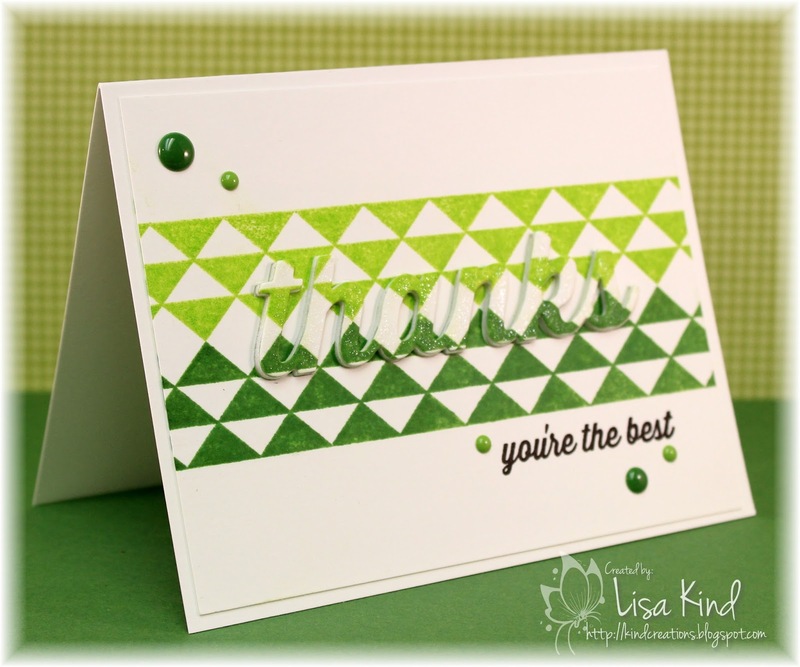 I placed some SU designer paper behind the shaker...I love that pop of green. I also love that little bee just buzzing around! 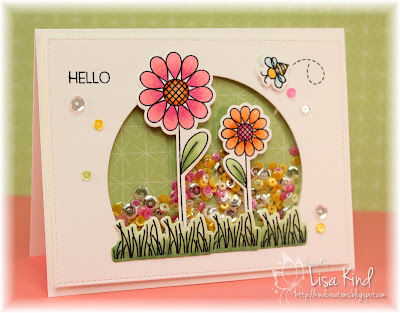 The grass was stamped and die cut four times and layered at the bottom of the flowers. I added the sentiment and sequins to finish it off. 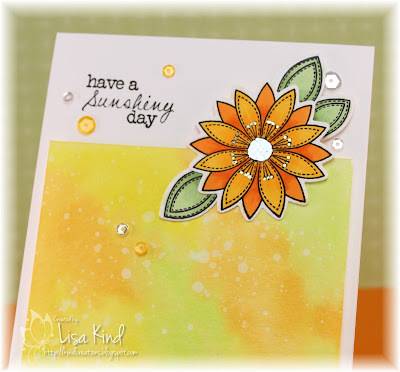 And of course there is shimmer on all of the die cuts! I used the Freshly Made Sketches for my layout. I'm also entering this into the 30 Day Coloring Challenge. This is my second entry so far. Let's see how many I can enter! Happy Saturday! It's been super hot and humid here this week. Not a fan of humidity! We have a new challenge over at Just Us Girls. It's Trend Week and Vicki chose sponging. One of my favorite things to do! I just received a box full of the new MFT products yesterday and thought I color up the little bear with copics. I gave him some texture by putting some copic various ink on a washcloth and dabbing it on him. (I remember seeing this done when I went for my copic certification and thinking it was so cool!) I added some shimmer on the balloon and box. The sponging came in on the background. I taped off the perimeter of the cardstock and sponged distress inks on it. Then I splattered it with water. 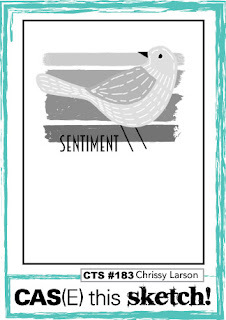 The sentiment was stamped in black ink and embossed. The bear was added with fun foam and I also added some sequins. I'm also entering this in the 30 Day Coloring Challenge. I've colored a couple of other things...one didn't turn out good and the other I haven't finished. I'll be posting it later.